Italian sculpture of the Renaissance has long suffered in comparison with the admiration enjoyed by Italian painting of the same period. 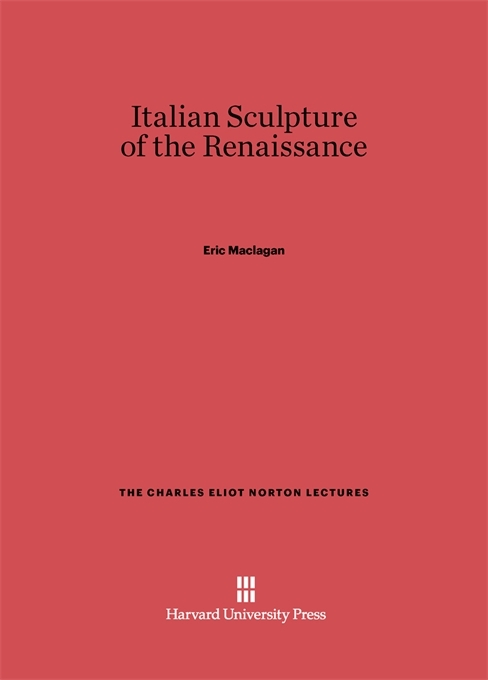 Such depreciation is, in Eric Maclagan’s opinion, eminently unjust; and with the equipment of a well-grounded student of the Renaissance, he devotes the present work to placing the sculpture in its proper light. 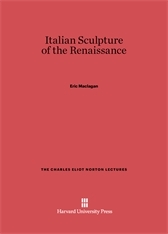 He touches briefly in the beginning upon the sculpture of the great revival of art and letters in the eleventh and twelfth centuries, and then considers in greater detail the splendor of achievement between the fifteenth and seventeenth centuries. Although his approach is necessarily an historical one, he subordinates his framework to his larger purpose. The Charles Eliot Norton Lectures for 1927-1928.